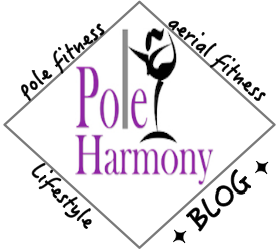 Pole Harmony: Low Energy December? It's December and I've been feeling low energy lately. This time of the year can be exhausting with the holiday stress or the changing of the season to bitter cold mornings that make it difficult to get out of your warm and cozy bed. Whatever is going on in your life, it's important to keep your own well being on that check list as you get through this season. This time of year is not only a time of year where many cultures celebrate the release of the going year and welcome the prospects of the new year, it is also a time of reflection. This past year hasn't been very productive for me in regards to my fitness goals compared to years passed. I've had some personal medical issues I've been dealing with that have taken most of my financial resources, time, and energy. I'm feeling the effects of a frustrating and exhausting year all coming at me as I'm preparing to wrap up 2016. Needless to say, the past two years have beaten me down and that once positive and optimistic former self is dwindling to a shadow of my former self. Being a frequent patient in the medical world will do that to you. The moments of uncertainty are both physically and mentally exhausting. 1. Getting plenty of rest. The holiday season leaves many prone to sleep loss from stress or activities that keep one from sticking to their regular sleep schedule. This time of year is also flu season. If you're feeling run down, always listen to your body and give yourself needed rest. 2. Drink plenty of water. If you're feeling drained in the morning, make sure to drink some water. Holiday foods are full of salt and sugars which can lead to a state of dehydration. Re-hydrate and feel re-energized. 3. Eat more fruits and veggies. This time of the year has American diets on carb overload. Be sure to maintain a balanced diet of fruits and vegetables for all the essential vitamins and minerals all those holiday treats are lacking. 4. Stick to your fitness routine. As hard as it may be when your energy is low, it's important to stick to a form of a workout routine. Incorporate low impact exercises into your routine. Yoga is an excellent workout as it works well for all levels of fitness. 5. Aromatherapy. I talked about oil diffuser blends in a blog piece I wrote over the summer that I found were great at giving me the energy boost for my pole workouts. My favorite essential oil diffuser blend was oranges or a mix of orange and peppermint. If you're searching for energy boosting diffuser blends, you'll often see pinterest recipes recommending citrus and mint oils. Either being appropriate for the holiday season. 6. Dealing with stress. Stress can be exhausting. Dealing with it in ways that help you alleviate the effects can make you feel refreshed and maintain a sense of peace as you embark on your holiday adventures. Meditation is great for calming your mind and bringing your body, mind, and spirit back into a healthy balance. One form of meditation I have recently begun to enjoy consists of using a Tibetan Singing Bowl. I've been playing my bowl before and after Yoga practices. I've found the bowl allows me to focus my mind to the present and bring me to an awareness that I need to be in for my practice. If you're not able to attend Yoga classes, you can always do at home classes. I really enjoy participating in www.DoYogaWithMe.com 's classes from the comfort of my own home. If you're strapped for time, this is an ideal solution for you to do yoga anywhere at anytime. These were just a few things I have decided to implement. I will keep you all posted as how they have helped as I go about my mission for natural energy boosting. Let me know if there's anything you have found to help you get through these colder days of Fall and Winter's holiday stress.